Viacom Inc. announced on Friday it has entered into a comprehensive, multi-year content partnership with the award-winning writer, director, producer, actor and playwright Tyler Perry, encompassing television, film and short-form video. Under the terms of the agreement, Perry will produce approximately 90 episodes annually of original drama and comedy series for BET and other Viacom networks, and Viacom will have exclusive licensing rights on this programming. In addition, Viacom will have exclusive distribution rights to Perry's short-form video content, and Paramount Pictures will have exclusive "first look" rights on any new feature film concepts created by Perry. The film agreement is effective immediately, with the partnership on Perry's TV and short-form video content to go into effect in May 2019, following the expiration of Perry's exclusive agreement with OWN: Oprah Winfrey Network. Viacom's agreement will extend through 2024. Bob Bakish, President and Chief Executive Officer of Viacom, said, "Today's announcement represents an important step forward as Viacom continues to make swift progress against our new strategic plan. By prioritizing efforts to work with the best, most versatile talent in the entertainment industry, we are better positioned to deliver must-watch content across our brands and platforms. Tyler is a prolific creative force, and I'm excited that this collaboration will bring his signature humor and powerful storytelling to Viacom's audiences while further cementing BET's position as the leading home for bold, relevant African-American programming and scripted content." Debra L. Lee, Chairman and Chief Executive Officer of BET Networks, said, "I am delighted that we are deepening our longstanding relationship with Tyler. BET co-funded Tyler's very first feature film, we've aired his movies and many of his series with great success on our networks, and we've honored his tremendous talent with our signature awards. This partnership will allow us to work even more closely with him and bring more of his iconic content to our viewers." "Viacom has a rich tradition of reaching my audience through their TV, film and digital platforms and I am excited to partner with them," said Perry. "I am eager to have one home where I can leverage all of their assets to tell my stories to an even wider audience. I have been very blessed to have worked with the incredible people at Lionsgate and OWN over the last few years and I look forward to continuing my work with them on a non-exclusive basis." Perry is the creative mind behind seven television series and 16 feature films in addition to 20 plays and a best-selling book. 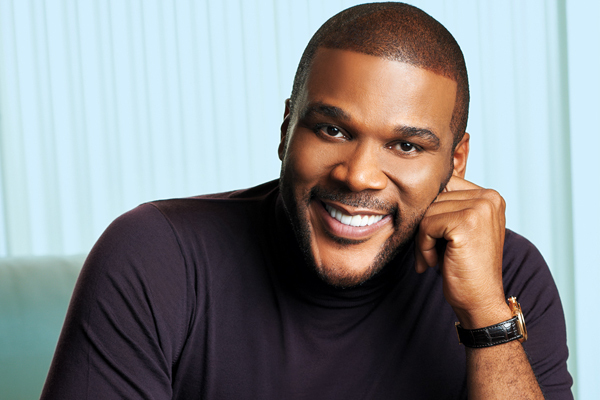 His first television series, Tyler Perry's House of Payne set then-ratings records for a basic cable sitcom when it debuted and was followed up by the highly successful Meet the Browns. Since then he has continued to launch a series of popular programs, including the sitcom Love Thy Neighbor and the drama The Haves and The Have Nots. His films include many box office hits, including his long-lasting Madea franchise.